Now that summertime is here all my people can think about is camping, water fun and s’mores. The camping will come and go throughout the summer. With water guns, water parks, rivers, lakes and streams at our back door the water fun will be inevitable. The s’mores… ahhhhh, THE s’mores!﻿ Not always able to build a fire to roast the marshmallows outdoors (which is the most traditional way to make s’mores – not to mention my favorite) I decided to give them a go indoors. I ain’t gonna lie, my first attempt was in the microwave. The microwave puffed up the marshmallows something awful. I mean they got so huge that they just made a mess when they finally exploded. So I knew my second attempt had to be foolproof (after all, who wants to see wasted graham crackers, marshmallows and chocolate twice in one day?). I use my 6 quart oval crock pot for this. Start by turning it to high with the lid on. While it’s preheating, assemble the chocolate on top of 4 of the graham cracker squares. After the crock pot has preheated for 10 – 15 minutes place the chocolate topped graham crackers in the bottom of the crock pot. Place one marshmallow on top of each piece of chocolate. 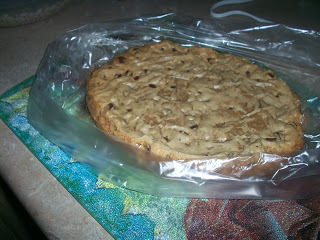 Cover with lid and cook for 15 – 20 minutes, making sure you keep an eye on it (no one wants burnt graham crackers). 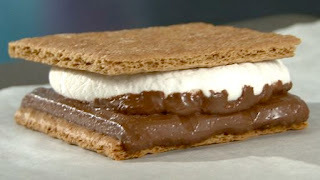 Place remaining graham cracker on top of marshmallow and press down to make sandwich out of each one. The marshmallow and chocolate should be gooey and slightly ooze out when pressed. Eat and Enjoy!